Wow, were are finally starting to do somthing to the car that is not about repairs or disassembly. 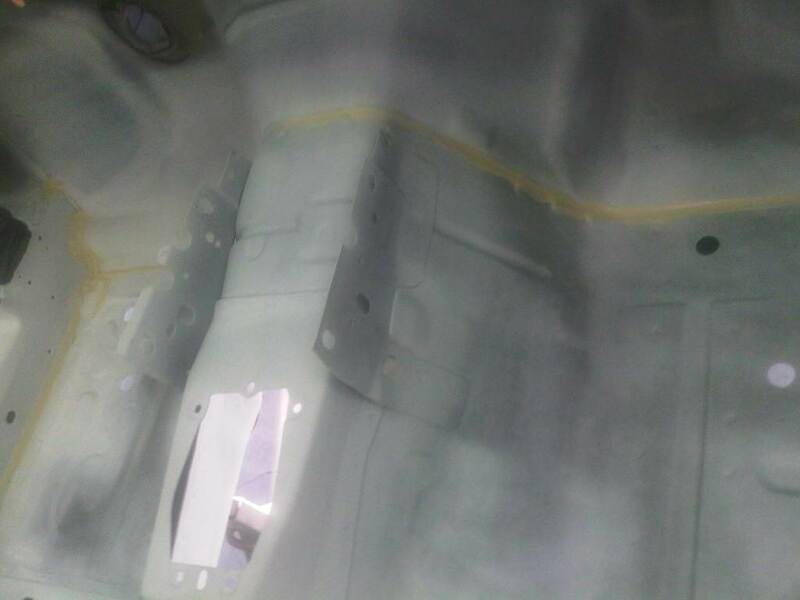 While working on cleaning up of the car, one of the biggest headaches was removing the seam sealer that was gobbed-up everywhere on the floor of the car. 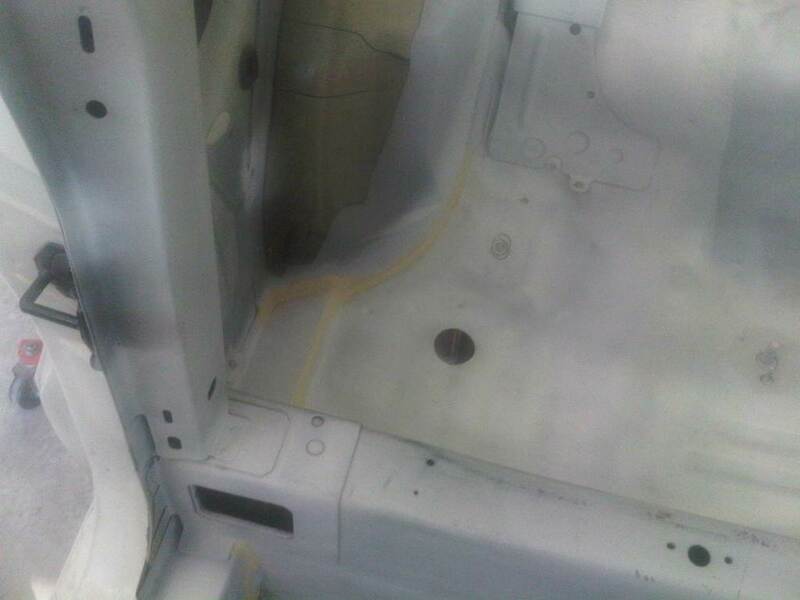 The sealer that was used when the car was repaired in '97 was not like the factory sealer. 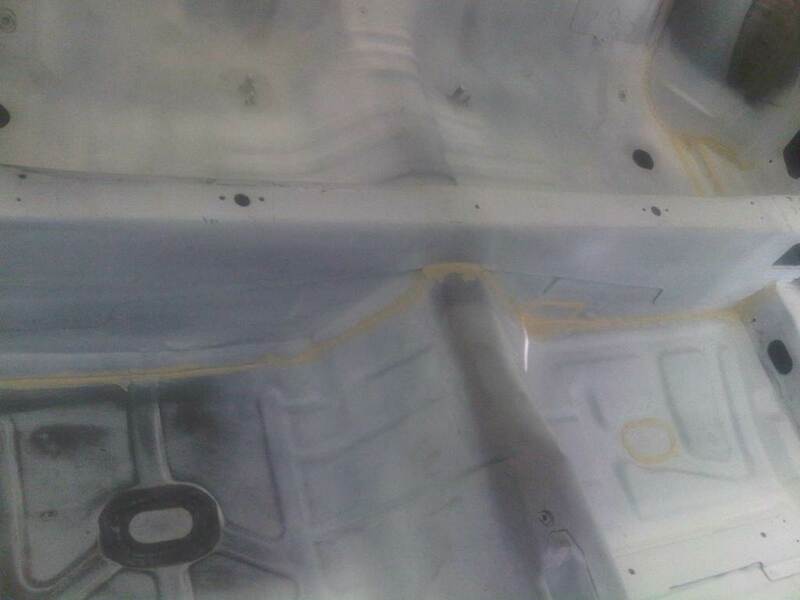 The factory sealer dried to a firm texture that could be easily removed with just a scraper and wire brush. The sealer used in the repairs remained a rubbery-like texture, similar to a RTV silicone and was extremly difficult to remove and gave off a toxic smell when exposed to open-flame or welding. To avoid using a product like that, I did considerable research on the different types of seam sealers and ended up choosing Eastwoods high-solids, paintable seam sealer that will not crack. Its similar to factory seam sealer, apples with a standard cauking gun and is easily tooled. 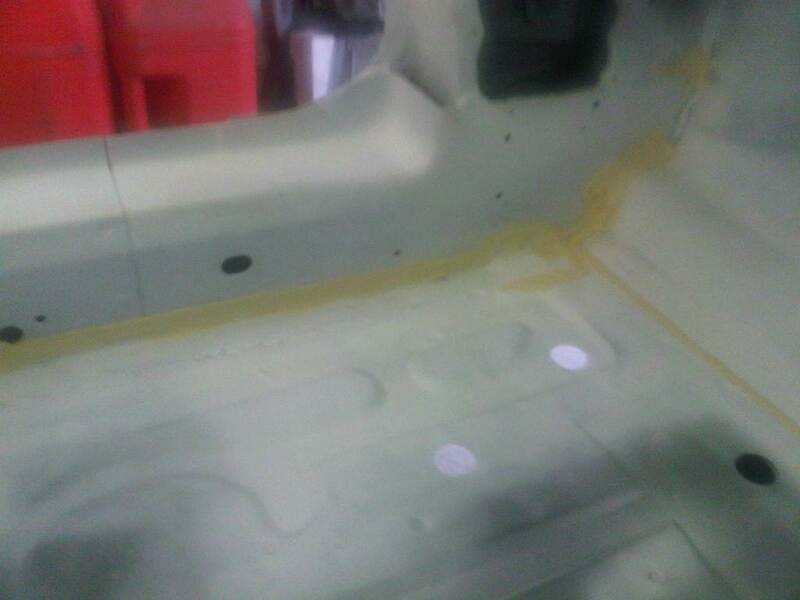 One tube of the sealer did the new door that I covered earlier, and the passenger compartment floor, both inside and out. I will need to pick up another tube to do the trunk area and widshield/rear window seams.